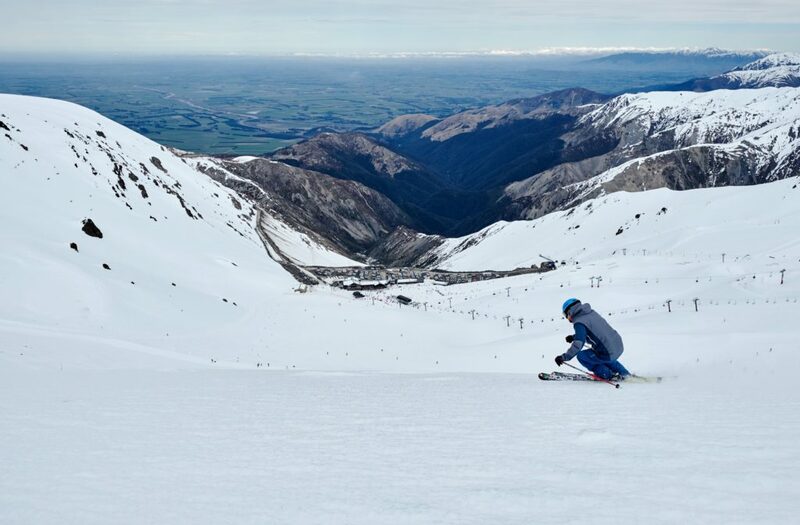 With wide open terrain and world-class facilities, Mt Hutt has been voted New Zealand’s best ski resort the past three years running for a reason. Situated in the Southern Alps with an altitude of 2086m, Mt Hutt presents breathtaking views across the Canterbury plains. Mt Hutt is often the first resort to open in the southern hemisphere. The mountain is well suited for all skill levels, with smooth groomed runs as well as terrain parks and an international race arena. Arrive in Christchurch Touchdown in Christchurch and take a short journey to the small town of Methven. Explore Methven Wander through the town centre and learn about Methven's agricultural and snowsports history. First lesson Ascend Mt Hutt, collect your hire equipment and partake in your first snowsports lesson. Afternoon snowsports Explore the terrain in your free time and ski with friends. Optional activity: White water rafting Experience the fun and thrill of white water rafting in rapids from grade 1 to 5. Second lesson Enjoy a morning lesson with your expert instructor on the open slopes of Mt Hutt. Afternoon snowsports Refine new skills in your free time to ski or snowboard in the afternoon. Third lesson Unlock new confidence in your third lesson and possibly attempt small features in the terrain park. Afternoon snowsports Take on a few different runs as suggested by your instructor. Optional activity: Lord of the Rings tour Follow in the footsteps of Frodo, Sam and Gollum as you explore the landscapes of "Middle Earth". Forth lesson Extend your skills in your lesson. Afternoon snowsports Enjoy free time to stay on the slopes and carve your way down the mountainface. Alpine and Agriculture Encounter Methven Learn about geology, weather and water as you hear stories about the surrounding mountains, plains and people. Final lesson Soak up the picturesque views in your final lesson on the mountain. Afternoon snowsports Perfect your skills and leave the mountain feeling on top of the world. Optional activity: Fly fishing tour Learn the art of fly fishing in the pristine trout streams around Methven. Final explore Search for souvenirs in one final wander around Methven, before heading to Christchurch. 4D Show at the International Antarctic Centre Excite your senses and learn about life on the ice in Antarctica in the 4D Show at the International Antarctic 4D Show at the International Antarctic Centre. Thank you for your interest in our WorldStrides Mt Hutt Snowsports Tour Tour! Please tell us a little more about yourself so we can get you sent to the right place.